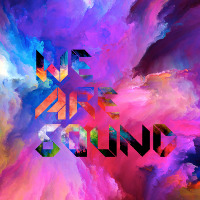 We Are Sound. We&apos;ve been described as a &apos;harmonic phenomenon bursting onto the scene like a firecracker&apos;. We take brilliant songs - by artists as diverse as Dry The River, Avicii, Goldfrapp, Rufus Wainwright and The National - and get underneath the skin of them using anything between 60 - 140 voices and instruments. Our fans describe the sound as explosive, thrilling, off the wall, unpredictable and stunning, and we&apos;ve collaborated with Basement Jaxx, Boo Hewerdine, Megson, beatboxer Skilly Skillz and Dirty Freud - the high wizard of electro dub. We work with singers with both vast and no experience, and pro and semi pro musicians, and our gigs are visceral, euphoric, and completely and utterly addictive. For our latest project we have gone dark. 26 sold out sound experiences in Cambridge, London & Suffolk, all totally in the dark. Described as "the best musical experience of my life", "the panacea the world needs right now". "one of those gigs I will take to the grave with me" and "positively counter-cultural". Do you promote/manage We Are Sound? Login to our free Promotion Centre to update these details.